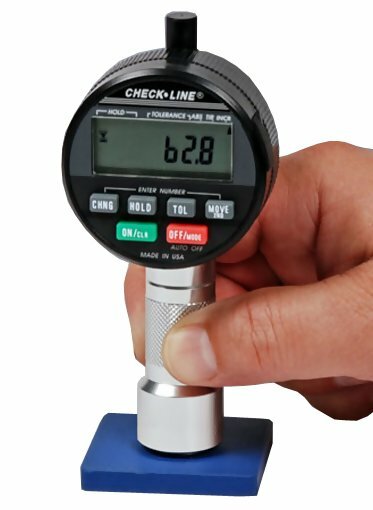 The Checkline DD-100 Digital Shore Durometer is the genesis of years of experience offering high quality Durometers to discriminating users. Featuring an 18mm footer that offers high stability and conforms to all international standards, the DD-100 is the ideal durometer for a wide range of shore hardness measuring applications. The DD-100 is supplied with a NIST traceable calibration certificate in foam-fitted carrying case.